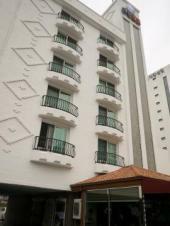 White Tourist Hotel is located in Jeonju. Jeonju's famous food is Bibimbap (rice mixed with vegetables and beef), bean sprouts and Makgoli( korean raw rice wine ). All guestrooms are with useful amenities and breakfat in included in the room charge. (7-10AM) Menu is Porridge, fruit, cereals, coffee. Also internet service is free. 10min walk from Express Bus terminal!